The Chula Vista Police Department is piloting technology that uses the Samsung Galaxy smartphone to replace the traditional mobile data terminal in police vehicles. Chula Vista police began a pilot earlier this year that could redefine mobility. A partnership with Samsung enables personnel to do far more with smartphones. The pilot centers on vehicles but its tech could be applied elsewhere. If a Chula Vista Police Department pilot project goes as planned, the smartphone could replace the mobile data terminals (MDTs) in police squad cars and eventually even the laptops and desktops, creating the truly mobile officer. The pilot began in January and uses Samsung’s DeX platform, essentially a Galaxy smartphone and docking system, to create a communication tool that allows the officer to bypass his MDT and laptop. The phone allows the officer to write reports, send texts, make phone calls, and access maps without having to juggle a phone, steering wheel and MDT. When the officer docks his smartphone in the police vehicle it instantly translates what he would access and see on his MTD to his smartphone with all the same apps and functionality. So far, the platform has been installed in three patrol cars. The pilot is concentrated on the cars, but the platform can also be used to replace laptops and PCs at the station. Each officer was recently asked if he would like to revert to the old mobile data computer or stay with the DeX platform. They all chose to remain on the pilot platform. They said it’s more responsive and allows for smoother workflow. The schedule is for the pilot to run for six months, giving feedback to vendors and polishing it up. If it’s going well at the six-month mark, it will run for another six months. After a year, Wood and the department will decide if they want to go all in. Wood has already asked for the department’s permission to furnish more vehicles with the platform and that has been given the go-ahead. There is a fix that needs to happen though, a minor one that would clean up the video, which tends to flicker. 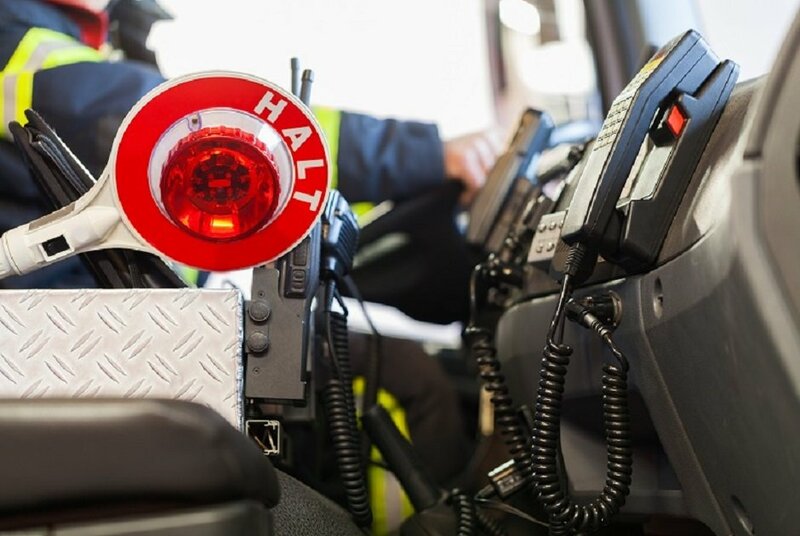 Wood said along with creating a more streamlined communication tool, a benefit of using the smartphone is its security, and with public safety networks, including FirstNet and Verizon’s public safety network, reliability. The long-term vision for the DeX platform is to create that mobile-first officer as Reg Jones, Samsung’s public-sector lead, tells it. The mobile-first officer will have the ability to move through the three environments police inhabit — the vehicle, the police station and the field — with one device. That’s the functionality DeX brings. When an officer enters the police station, he can dock his Galaxy smartphone into and HDMI cable, which will create the same mobile view on his desktop and his phone, with all the same functions and menu items. The phone changes its look of a smartphone and takes on the look of a desktop monitor, where you can access Windows using Citrix and VM and, in time, Microsoft. When the officer gets a call, he enters his squad car, docks his phone and he can immediately begin typing reports, or checking a map on his phone just as he would on his MDT.